The death of a friend or family member is a difficult time for everyone. 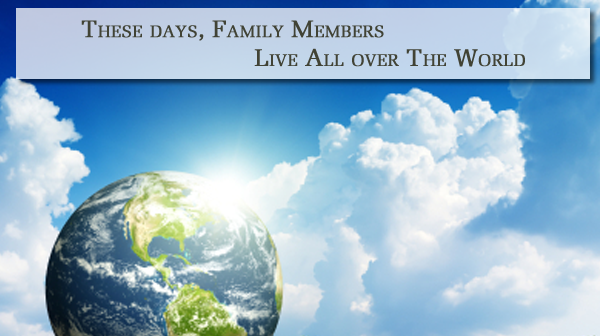 Taking time to grieve and participate in the funeral process has proven to be a very important part of moving forward. Unfortunately, friends and family are often unable to attend the funeral services due to distance, other commitments, illness, or work. This greatly limits their participation in the grieving process. 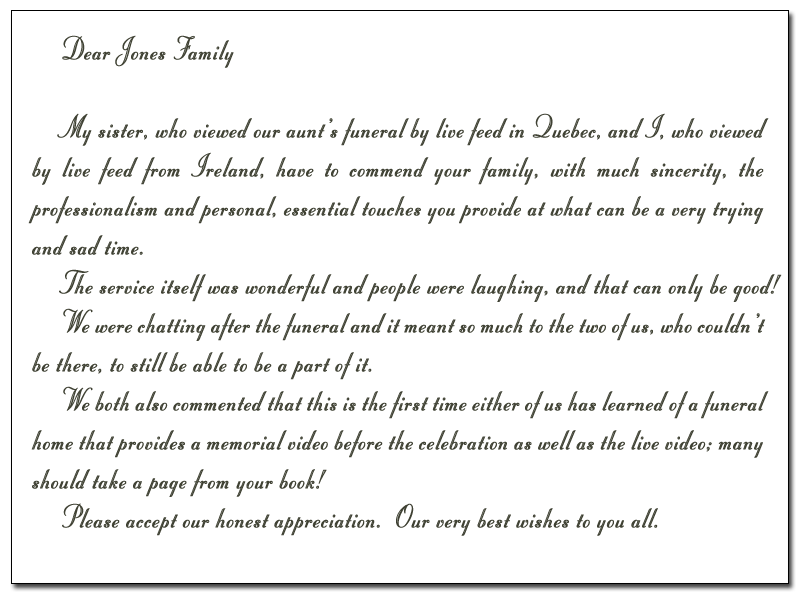 However, making use of today's technology, we at Jones Family Funeral Homes are able to open our funeral services to everyone, allowing people to feel a part of the process via our website. We are the only funeral home in the Tantramar Region and Cumberland County that offers this service. The families we have served that have made use of this service have been very pleased to be able to allow friends and family to join them on such a difficult day and to feel the support that a funeral offers. To find out more about this, or any of our many valuable services, please do not hesitate to give us a call or stop any of our 6 locations. We are striving to improve and grow daily to keep up with and ahead of the needs of the families we are proud to serve.